Written October 29. 10 weeks. Finally! FINALLY FINALLY FINALLY we got to go to the doctor and it was amazing and wonderful and there are two best news items. 1. Baby is doing great. So wonderful to finally see the little bugger! 2. LOVE THE DOCTOR. God obviously had a hand in making sure that she had an opening for me. Because SHE IS AMAZING. I guess the third item would be that there is only one baby in there, which was a pretty nice sigh of relief for me and the future dad. Twins run heavily in my mom’s family, so it was a legitimate fear… But there’s only one! And it’s the size of a kumquat! Which I had to google because I don’t know how big a kumquat is!! As you know, I had been waiting and waiting and waiting for the doctor’s appointment. I just really wanted someone to say, “Everything you are feeling is normal. And everything is fine.” And that’s just what she did. Obviously the best part was the ultrasound, where we got to see the babyyyyy that will be joining our lives in about 30 weeks. Yay! It was such a wonderful moment, seeing the tiny little being that has been making me feel so nauseous for the last few weeks. My favorite part was seeing the little flutter of the heartbeat. And tied for favorite part was seeing Peter’s reaction to seeing the baby. This is so cheesy, but seriously you guys, I fell in love with the man again, and I am just over the moon that he is going to be a dad. He’ll be such a good one. He just kept saying “I’m going to be a dad. Sar. This is so amazing.” Swoooooooooooooooon. 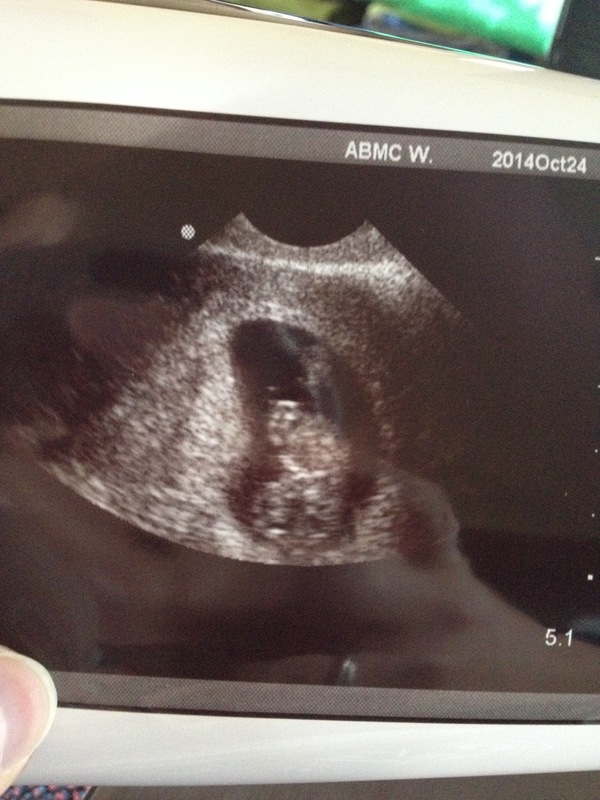 The baby started squirming around a little bit during the ultrasound. That was Peter’s favorite part. Because he said “Look Sar, it has my fight, not your flight! So that’s really good!.” I thought it was equally parts offensive and hilarious. You guys. That’s our baby.